A Smart TV is a computer meets TV meets Set Top box, all rolled into a single device, further adding a dash of connectivity through the IOT, and get a never before witnessed, highly interactive experience at your disposal. Smart TVs have now come a long way from their initial days when they were just perceived as TVs that offered some streaming with on larger screens. Those Smart TVs appeared just like fancy showpieces that looked cool but you could derive much benefit out of them. However, the new generation of Samsung Smart TVs are powerful devices that are capable of meeting all of your requirements and do even some extra stuff that you never imagined a TV could do! And with all of these advantages in your tow, you need to ensure that you are getting the best value out of your Smart TV, which can happen through a Best VPN only, as it will allow you to unblock all kinds of geo-restricted services like Netflix US, Amazon Prime etc, thereby providing you with a truly stellar experience. For more on this, here is our dedicated guide on Samsung Smart TV VPN, containing exclusive reviews on the Best VPN for Smart TVs, multiple setup guides and more by BestVPN.co! Why do you need a Samsung Smart TV VPN? VPNs initially used to serve the purposes of guaranteeing user privacy and anonymity online. They still do that, but now, they are being redefined as the primary tools through which you can gain unhindered access to the entire internet. The internet is not freedom friendly and its advantages to users have been substantially bogged down by things like Government Firewalls, censorship and geo-restrictions. VPNs allow you to circumvent all of these stifling restrictions and that’s why they have gained so much popularity in recent years. 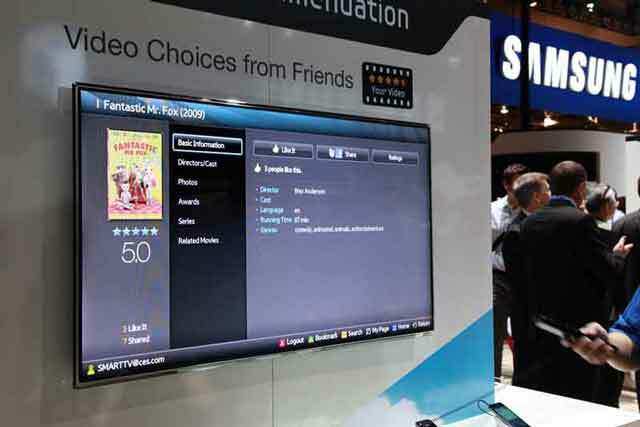 Without a VPN, a device like Samsung Smart TV won’t be even half as entertaining as it can be when its installed on it. We say this, because whether its streaming sites like Netflix or Hulu or IPTV providers like DirecTV Now, they don’t function fully or well enough unless you use a VPN. A Samsung Smart TV costs exorbitantly high and if you are putting that much investment into a product, the derived value from it shouldn’t be limited due to no fault of the device itself. While they serve the same purposes on every device i.e. unblocking geo-restricted content, guarantee privacy etc. VPNs function differently on niche devices and that’s why there needs to be a separate list, dedicated entirely towards recommending the Best VPN for Samsung Smart TV. So we need to recommend VPNs that make this process as seamless as possible, through providing features like live chat support, troubleshooting guides, pre-configured VPN routers etc. thereby facilitating you as much as possible in your quest to install a VPN on your Samsung Smart TV. Apart from this, the VPN also needs to be extremely reliable towards ensuring that it unblocks geo-restricted content. If a VPN doesn’t do that, its as useless for your Smart TV as your shoe is to your car. 1. PureVPN – The Best and the Cheapest of ALL! Perhaps the most budget friendly VPN among the more established providers in the industry, PureVPN has garnered a name for itself as a highly reliable VPN if you to unblock geo-restricted content. It unblocks Netflix US, BBC iPlayer and a whole lot services through its robust server infrastructure and a dedicated team that combines to ensure that it remains ahead of the VPN ban enforced on many such sites to ensure you a secure and working connection always. The speeds are good enough to support HD streaming and on top of it all it offers dedicated Smart TV VPN support through troubleshooting guides, easy DNS server setup and 24×7 live chat support to make installation and setup a breeze! Expensive but worthy of its price tag, ExpressVPN is a powerful service that will enable you to bypass geo-restrictions on all popular sites and apps. What’s more is that it manages to ensure that all of its servers support unblocking which is a rarity as most VPNs offer dedicated servers for this purpose. This speaks volumes about how well this VPN manages to perform even in the face of adversity. Apart from this, ExpressVPN is incredibly secure with AES 256 encryption, OpenVPN support, a proven zero logs policy and a whole lot more. It offers the best setup and troubleshooting guides along with video tutorials that can allow you to setup a VPN or SmartDNS on your Smart TV in no time at all! Offering one of the biggest server networks comprising of a whopping 4800 servers worldwide, NordVPN is one of the most recommended VPN providers when it comes down to using a VPN on niche devices like a Smart TV. The speeds it puts forward are not just high but stable, which means that you can be more assured of its service quality standards than other VPNs. It also offers up to 6 simultaneous connections, live chat support, OpenVPN protocol support, DNS server setup and installation guides, Double VPN and Onion over VPN feature for enabling extra security on all devices. And despite all of this, its pricing plans remain highly within the affordable range! Just like the browser, it gets its name from, Torguard is one of the safest services in the VPN domain, which means that no one can snoop in your internet connection. It offers an exclusive Stealth VPN feature that makes your VPN connection appear similar to regular traffic, thereby making it difficult for snoopers to even locate your connection, let alone deciphering it. On Smart TVs, Torguard can be of great help as it will allow you to unblock the latest apps and websites with great reliability on your Smart TV as it suffers very few breakdowns. In total, it offers 3000 IPs in over 50 countries along with an anonymous proxy address. The support team at Torguard is incredibly competent and can guide you through even the trickiest of issues. The pricing is a bit higher as compared to PureVPN and NordVPN, but you can avail 50% off on it if you use the promo code “TGLifetime50” at check out. Offering a whopping 10 simultaneous connections on its pricing plans, IPVanish is one of the best choices as a VPN for all your devices, especially Smart TVs. It will not just unblock geo-restricted sites but its best feature is that it can sustain the best speeds for a VPN, even after the connection is loaded with security features like encryption and protocol support. You will experience the lowest of speed cuts on your device while using IPVanish. There are over a 1000 servers at IPVanish in a network spread over 60 countries worldwide. IPVanish keeps zero logs and offers fast customer support thereby providing you with incredible security and support for your Smart TV. Best for those users who are thinking of sharing a VPN connection physically from their PCs to their Smart TVs. 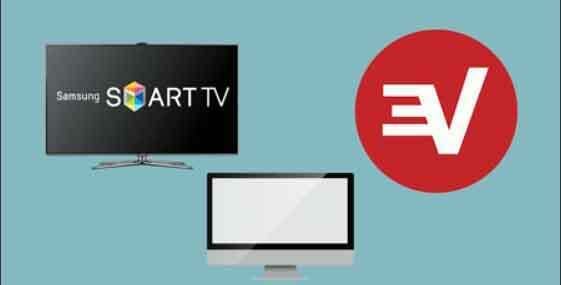 How to Setup VPN on Smart TV in 3 Easy Methods? VPNs allow you to re-route your internet connection through a different server location before landing on your intended site, thereby allowing you to immaculately bypass geo-restrictions, especially on streaming sites. On top of this, no one can snoop in on your activities and that includes your ISP, due to the powerful encryption being done by the VPN on your data packets. To access all of these advantages and gain more value out of your Smart TV, you need to know the ways through which you can setup a VPN on your Smart TV first. Setting up a VPN on your router is perhaps our most preferred method for initializing a VPN connection on your Samsung Smart TV, because doing so will allow all of your devices to run through a VPN enabled internet connection, making all of them capable of benefiting from the great unblocking features the VPN has on offer. You are now being routed through a VPN enabled connection directly from your DD-WRT router! You can also access website unblocking features by setting up a SmartDNS on your Samsung Smart TV. SmartDNS is not a VPN, because it doesn’t provide encryption or any other online security feature, but it can definitely match a VPN’s capability in allowing you to access geo-restricted content like Netflix US on your Smart TV. You will now be presented with two options i.e. “Use our domain name”, if you want to setup a new domain name for yourself, then click on this option, or if you an existing domain name then just simply enter it in to option two. 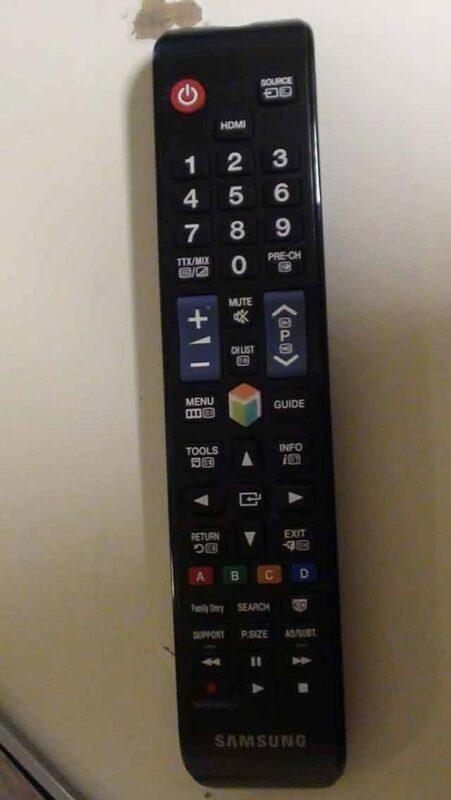 *Important Note: The “Enter” Button on your Smart Remote is placed between the arrow buttons! Now select “Enter Manually” and then enter the Medistreamer DNS Server Address you acquired from ExpressVPN. After you have entered the DNS Server address, click Enter. You are now connected to the New Server address which will allow you to unblock almost every geo-restricted app! Enjoy your Samsung Smart TV to the Fullest! Now you will need to identify your VPN connection here. Try to find the option named “TAP- Win32 Adaptor V9”. This is usually the name for the VPN connection using the OpenVPN protocol. Restart your computer and you will now be using VPN for Smart TV to unblock all kinds of content and apps! Many netizens turn to Reddit when in need of technical solutions. You can find many users on numerous threads asking questions on how to use a VPN on their Samsung Smart TVs. Most answers revolve around using a SmartDNS connection by altering the DNS gateway directly from the Smart TV, but this is not considered a safe option. Just like we told you, the best way to use a VPN on Samsung Smart TV is to get a pre-configured router. You can find one from the experts at Flash Routers. Do not believe us? Look at these responses below. Here you see a Redditor stating that the easiest way is to find a router that supports best reddit vpn connections. Once setup, you can use the secure internet tunnel on all devices, including your Samsung Smart TV and Apple TVs too. The user has also given some router recommendations: pfSense and Mikrotik. Comment from discussion ny7771’s comment from discussion "How do I add VPN to a smart tv?". Here is another user from another Reddit thread, where a user is found complaining about Windscribe and how he is unable to use the VPN on his Samsung Smart TV. The Redditor replying below gives an easy solution: Get a VPN router. This way, all devices would automatically use the VPN network, hence allowing you to unblock anything from your TV. Comment from discussion Josh_august’s comment from discussion "VPN on Samsung Smart TV". Comment from discussion dsahai’s comment from discussion "VPN on Samsung Smart TV". While many, highly reliable free VPNs still do exist in an industry that is now filled with dubious services which are out there to con users under the garb of free services, they are not of much use on devices such as Smart TVs or even other such streaming devices for that matter. This is because Free VPNs have a lot of limitations that don’t make them suitable for being a good choice for your Samsung Smart TV. Firstly, the so-frustrating slow speeds that can never be ideal for any kind of streaming, let alone HD streaming. Would you like to binge your next show in a situation where the show streams for a minute and takes 3 minutes to buffer before playing again? I can say that it would be a resounding no from your end to on this. Slow speeds aren’t just the only issue that make Free VPNs unsuitable for Samsung Smart TVs. Another big problem here would the data bandwidth limit imposed by Free providers that can range anywhere from around 500 MB – 10 GB. Even the higher end of the spectrum won’t be suitable even for an average users who likes to stream a show or a movie for like an hour daily. This is because, most of the best Free VPN services out there are just offering their free VPNs in a bid to attract more customers to their much better, paid plans. Its not feasible enough for them to offer a good free service when they are giving the same features in their paid plans. Apart from all of this, Free VPNs don’t unblock any of the major streaming sites like Netflix US, Hulu, Amazon Prime etc. so it is pretty useless to go for a Free VPN for serving such a purpose on your Samsung Smart TV. Apps I can Unblock with a Smart TV VPN? Netflix is perhaps the most sought after streaming site in today’s world. Containing shows such as The Crown, Black Mirror, Orange is the New Black, Narcos, House of Cards and thousands of other exciting shows and movies, Netflix is the quintessential streaming site out there. But, as a lot of people know by now, Netflix publishes different content libraries in different countries depending on copyright laws. If a show or movie is not covered by copyright in a certain region, then it wont be available in the content library of that country. The US library of Netflix is by far the best content library on this geo-restricted site and to connect to that, you need a Best VPN. That’s because unblocking Netflix is not as easy as unblocking other streaming sites. Netflix is smart and it has enable a VPN ban on its site so as to make it extremely difficult for a majority of VPNs to access it. Only few VPNs can commendably unblock Netflix US and allow you to access a much better content library than you are doing now. For Samsung Smart TV, a VPN should also be providing a Smart DNS service in order to make it more compatible towards unblocking Netflix US. Irrespective of which Smart TV brand we are looking at, the kind of VPN that will be the best suited to them has to guarantee some important features. Users flock towards Smart Telly sets because they provide much more than conventional TVs. Smart TVs are not just streaming devices, but nowadays manufacturers are producing them with the intent of portraying them as centerpieces of an interconnected smart home system. Smart TVs are now one of the biggest manifestations of how the Internet of Things could change our lives by powering more connectivity and usability from the same set of devices. These Smart TVs can allow you to control your washing machine, vacuum cleaners, microwaves among other devices (Only if they too belong to the Samsung Electronic brand) with the TV’s remote. This kind of a scenario has never been witnessed in the world before this. VPNs might seemingly look like they and Smart TVs are not related but nothing can be further away from the truth. The idea behind innovation and technology that drives both, the Smart TV and the VPN, is the same i.e. enriching human lives by putting them at greater control over how their devices can function! So whether it’s a VPN for Samsung Smart TV, Sony TV or IGTV, or any other brand, the premium VPN brands remain the same because only they can offer the right features that are best suited to function with these devices. These premium VPN providers are hell bent on providing the best of services to their core users irrespective of what device they are currently using at the moment. Apart from the premium providers that we mentioned above in our list for the Best VPN for Smart TV, not a lot of VPNs can match the kind of features that will suit your Smart TV. Free VPNs don’t offer the right features to be considered as a VPN for Smart TV. They might be of some good on other devices like Windows and Androids, but surely, we won’t recommend you to use one for your Smart TV needs. On TV devices such a Samsung Smart TV, the choice of a VPN needs to made carefully because the primary task of obtaining such a service here would be to unblock streaming sites, which requires the provider to be offering a Top of the Line service. However, mainly face users the issue here that such VPN providers usually offer their services for a very high price, but still, there are some VPNs, who despite being equally excellent as compared to the Top VPN services, offer their plans for cheaper prices. For more info on the most budget friendly VPNs for Smart TVs, you can check out our all-inclusive guide on the Best Cheap VPN services for 2019. Free VPN can never be a suitable choice for Smart TVs because they have a lot of shortcomings that make them incredibly inapt to fulfilling the criteria of being a Best Apple TV VPN. Firstly, they don’t offer enough bandwidth. Smart TVs cant run on a bandwidth limit of 500 MB or even 5 GB per month. They can consume that much data within a few days. And even when some Free VPNs do offer unlimited bandwidth, their speeds are so slow that they can’t possibly support streaming sites. Secondly, Free VPNs don’t offer unblocking service which beats the whole purpose of setting up a Samsung Smart TV VPN in the first place. Why would anyone possibly want a Smart TV VPN if it can unblock Netflix US or BBC iPlayer? Thirdly and finally, Free VPNs don’t offer things like live chat support or DNS settings/support, without which you can’t set up a VPN for smart TV. So if you really want to get a free VPN for Samsung Smart TV, then don’t waste your time on the Free providers as they are of no value to your cause. Paid VPNs might require some investment but they are worth it. VPNs are fast becoming crucial and indispensable as more and more devices penetrate our daily lives. Smart TVs are not your average idiot boxes as they are highly intelligent machines which aim to provide you with an enriched media viewing experience. By using a good Samsung Smart TV VPN, you can unlock numerous advantages which can surely allow you to gain more value out of the same device that will be available to you when using such a device without a VPN. Our aim at bestVPN.co is to promote the use of VPNs and ensure that users are provided with the right information and guidance on how VPNs can secure their sensitive data in the online domain as well as provide them with a much more open internet than what will be available to them otherwise. 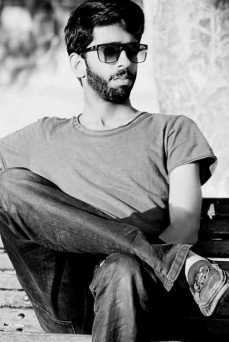 I’m using TrickByte for smart DNS. But it gets hectic I have to change the servers. Can you recommend me some other best SmartDNS for my Samsung Smart TV VPN? Thank you so much for this guide, I’ve set up my Samsung tv with Nord as that’s the vpn I’ve been using for other stuff like connecting to my Amazon sellers account when I’m away. It’s now working fine, I can see US Netflix catalogue and HBO and I feel like now at least I’m paying for something that’s worth the money. Hey Justini, felt great to see your comment and that our efforts added value to your needs. Do we have the permission to add your comment in our guide above? and will you be able to share this guide when we add your comment, on your social media profiles, so that we together, can be of more help to other people?